My mother’s neck parallels the floor now, her head planks forward like a tree bowed by too many winds. So that all she sees, with what fragmentary vision is left her, is the floor and its world of carpeted colors, its hard wooden edges. And this is our conversation – about the flowers she doesn’t want her feet to crush, though they are woven into a lovely rug she once selected; or the canyons and cliffs that occur when the carpet cedes to hardwood floors and she refuses to cross over. Refuses, I mean. So, we pull up a chair at the edge of the carpet and sit there for a while, safe in the borders of the flower garden, gathering courage to cross the great dark divide to her bedroom, a few feet beyond. Only when she tucks into her bed after dinner, lying back into her hill of pillows, can I see her face – still pretty, and soft, and surprisingly youthful. I kiss her goodnight, and she nuzzles into my neck like a baby, her pink gown swaddling her tiny frame. She waves into the vague distance with a smile and a kiss when my father passes by, though she cannot find him with her eyes. When I slip in to say goodbye early one morning, she urgently rises up from a dream, wondering how she can retire from this job she has gotten herself into, how she needs to go on and do something else. I find her words marvelous in symbol and suggestion, as though her unconscious now speaks freely, unedited. Don’t we all come to this, at different times, to a need to retire from This, in order to move on into that something else? Marge Piercy’s poem caught my attention thirty years ago in a way I have never forgotten: . . .we change. Or we die, and then change. That much we can count on, this unstoppable change. In amazement, I watch her find her way into retirement, into the final scenes before The End. Her body and soul seem bent on something I cannot know. All I can do is hold her when she is frightened, and honor the precipice that she sees. The ground that shifts beneath her. The valley she is daring to cross. This change that calls to her in dreams. ~ by Susan on 07/10/2012. Oh Susan. These deep canyons, these treacherous cliffs. I can picture you there, pulling up a chair, patient, weary, tender, stretched beyond imagining between the canyon walls of love and fear, peering into the valley below. 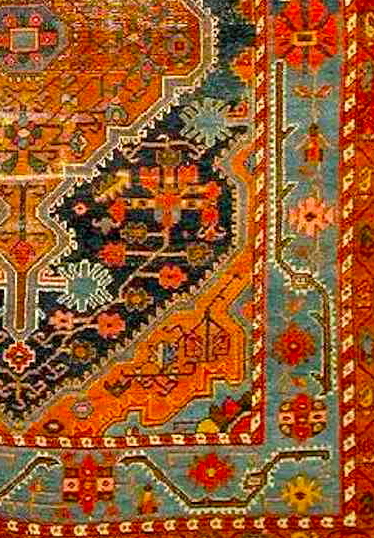 The carpet you weave is beautiful, detailed, mysterious, and it comforts us who walk along its daily treads. My mother’s head hung low, parallel, during her last several months. I hated not being able to see her beautiful face, her eyes. Dear Susan,,,,Every entry you post is a masterpiece! I read and reread each beautifully woven tapestry trying to fully appreciate each rich artistic thought. I am not surprised by your tender, loving care for each of your parents nor for your spiritual, insightful understanding of this last earthly journey. Please know that just as your reverent presence brings peace and comfort to your dear parents, your gifted sharing of these preparatory passages along the way brings peace and comfort to me. Thank you for your ministry. Keeping you close in my heart and in my prayers.